heather kojan quilts: Sew Mama Sew! Giveaway Day! 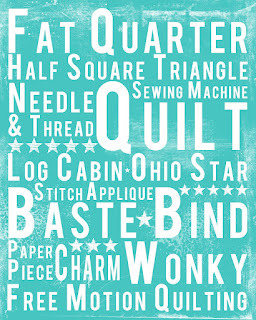 I love the Sew Mama Sew Giveaway Day. I've entered hundreds of giveaways, and I think I've won 2. So, that's not so bad, right? Always fun to win something. Good luck with the rest of the giveaways. I hope you win tons! I love this sign! I love the bookcases behind my sewing machine to store patterns, ribbon, fabric and thread. It's a great way to keep up with all the supplies. I don't work but it's still difficult with a new puppy. I try to make sure she has her time and cleaning is done in increments so I can squeeze in time. It's actually a little easier when the kids come home from school because they play with the dog and that gives me a moment! I try to sew when daddy is home to watch the little one and not the whole day,but here and there in spurts. I also sew when my son is at PreK Tues. and Thurs. I always have my sewing machine ready to go with a project next to it. I try to sneak in at least 5 minutes of sewing a day. Doesn't sound like a lot, but you'd be surprised how much you can get done in that time span. It really adds up. I work and fit quilting in on my day off and evenings. It tends tobe a long process but I still get the occasional quilt done and I love it so much it is worth the effort. I am still looking for the perfect storage, my fabric is oozing out of every space! When we travel, I always buy a souvenir tin (usually filled with cookies or chocolates!). I label them and fill them with notions -- and they're great reminders of fun trips, lots of color for the sewing room, and keep all the zippers and safety pins neatly out of sight. A lot of people use vintage tins - but I love the visual reminders of all our travels (and no rust). I try to spend an hour or two in my sewing room a few times a week, I also attend a sit and sew once a month where I can get quite a bit done. I do work a full time job. I love to use re-purposed containers that are unexpected to find in my sewing room. I use a lot of vintage mason jars to store sorted scraps with all the same color in a jar...makes it easy to find what I need for my scrap quilts! Love your sign! 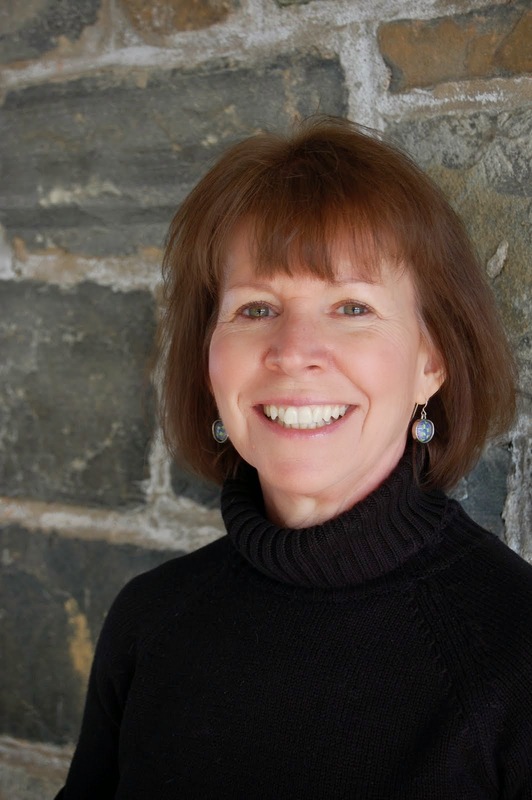 I homeschool 2 children, plus keep track of my 4 year old, so I totally have a full-time job! I sew in small spurts throughout the day and in the evenings after the kids are in bed. I never get to sew as much as I'd like, so I try to be productive when I can. Thanks for the chance to win! I am a teacher so I mostly quilt on the weekends or very early in the morning...like 4am. I am not much of a night owl. Love your Subway art. Thank you for the chance to win? I love that orange art! I tend to sew in spurts...because I am busy and I figure my children will only be here for a while...they're more important. However, I do miss sewing and have to get back to it! I typically quilt or sew during rest time (the whole time) I also sew in a small space. I have shelves under the tables I use and store lots of fabric there. I have tall shelves with baskets for smaller pieces. I also go vertical above my table I have rails that I hang hangers on and use for half done project and a magnet wall for storing embroidery hoops and patterns and the like...hope that helps! Such a cute subway sign! I'm a full time mom and I try to squeeze quilting in during nap times and after dinner when it's prime Daddy time! Both fortunately and unfortunately, my husband works 6 days per week..so my non-work/husband day is my prime sewing time! I love it :). Great giveaway! Love your artwork! I ended up going to clear storage bins for my fabric [and yarns]. They're stackable and I can see generally what I'm looking at. There isn't an extra room, so I'm using a wall in the dining room, and other less used spaces to stack my lovelies in. I LOVE your artwork...would look spectacular in my little sewing room! My space saving fave idea is a folding "TV table" for an ironing board. I love this! If both little ones are by some miracle napping at the same time...then that is when. Otherwise it is when my mom or sister comes over! I love this sign! I have a very supportive husband who is truly my partner in all things. We work together on the housework so we both have time to play. I have a weakness for subway art and this is just my style. I sew at nap time or from 10pm to 3 am. It makes me tired but it helps me maintain my sanity by sewing! Thanks so much for the chance to win! Love this! Great giveaway thank you! It's really hard to escape to my sewing space with two under the age of 4 running around. But whenever I can get them down for their naps at the same time, I typically hide out behind my sewing machine. There are times though when I end up popping in Toy Story just so I can meet some sewing deadlines. 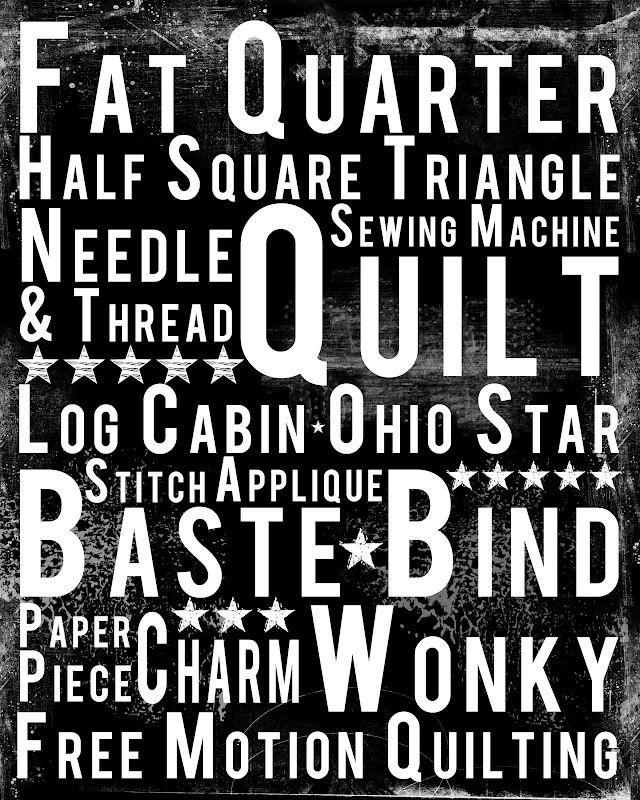 This sign would look fantastic in my sewing studio! I admit it's hard to find time. I tend to use 10PM to midnight --- kids and husband in bed! Finding the odd times works for me. I follow you via my reader! Thanks for the chance! I try to sew two nights a week after I get home. Because I don't have kids I'm usually able to fit in time - I don't know how mothers/fathers find time!! These are awesome prints! My sewing room has an extra art table for the kids so they color and craft while I work on projects, and we all enjoy the time together. I love my fabric stash in bookshelves. I have an Ikea 4x4 cubby system that has a desk attached to it. I store my craft supplies in the selves and in drawers underneath. Thank you for the giveaway! Naptime is when I fit it in, but that is also a time I have to get other things done. I try sometimes after my kids go to bed but then I'm usually pretty exhausted. I don't really get to sew much with my job! ahh I love the subway art! I've just moved into a new house and my sewing room walls are BARE. I tried to hang up some mini quilts, but those suckers keep falling off. Anyhow, I love to sew after the kids are in bed and the house is QUIET. I put on my iPod and dance & sew till the wee hours! What a great giveaway! I sew/quilt in spurts. I see a project or a great fabric line and zoom I am on it, then finishing is the problem. Usually have 2-3 projects going at a time, but they do get done, but not necessarily in the time frame I thought. Early morning before work and weekends are my sewing times! Work full time as a RN! Oh, so lovely. I try to sew in the evenings in front of a dvd. I had planned to use my day off to sew today, and then I remembered about the giveaway days! Best laid plans and all! I squeeze in sewing and quilting between full-time work and little kids whenever I need a clear head, all other work must wait because I can't concentrate anyway. I have to admit that I have some of my housework done by a lady coming in once a week, though. I have a part of my fabric cut up already in usable sizes, so I just open a box and start sewing. 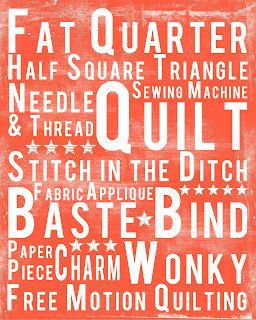 I saw that at Bonnie Hunter's Scrap User's System (www.quiltiville.com), it's really handy. What a great wall art, I store my stash in cardboard boxes from ikea and stack them up... thanks for the chance to win. I try to sew when my hubby is on night shift. I don't get much sleep but I get a lot done. Try scheduling it in your diary like an appointment say 2 or 3 hour blocks a week you can always sew more but it gives it priority status and forces you to start something. My children are grown now but when they were young I used to sew early in the morning before anyone else was awake! Oh I NEED this (in black) in my sewing room!! My secret is nap time. Who knows if I'll ever get anything done once he outgrows those wonderfully quiet afternoon hours! I work full-time so I try to sew when in the mornings and evenings - even if I only have 10-15 minutes. It's surprising how much I get accomplished in little chunks of time. Also, having a dedicated sewing space helps! Thanks for the great giveaway! I sew on Sundays when my husband is gone to work and any evening I can squeeze in some time at my machine. I try to do some kind of crafting every day, even if it's just for a few minutes. I fail a lot, but it's nice to have that goal with a low bar. Once you get going, often you have more time than you thought! I actually take my sewing machine to work with me and sew on my lunch hour. Crazy, I know! I try to do as much as I can on the weekends, or in the evenings once my husband is off to work. I've saved space by mounting a work table to the wall with brackets, and taking the doors off the closet in my sewing room. Oh, and the turquoise print would look so perfect in my sewing room! My organization tip is putting my sewing tools in tool cases found at Home Depot and such places. I also use cloth bins to store fabrics and yarn. 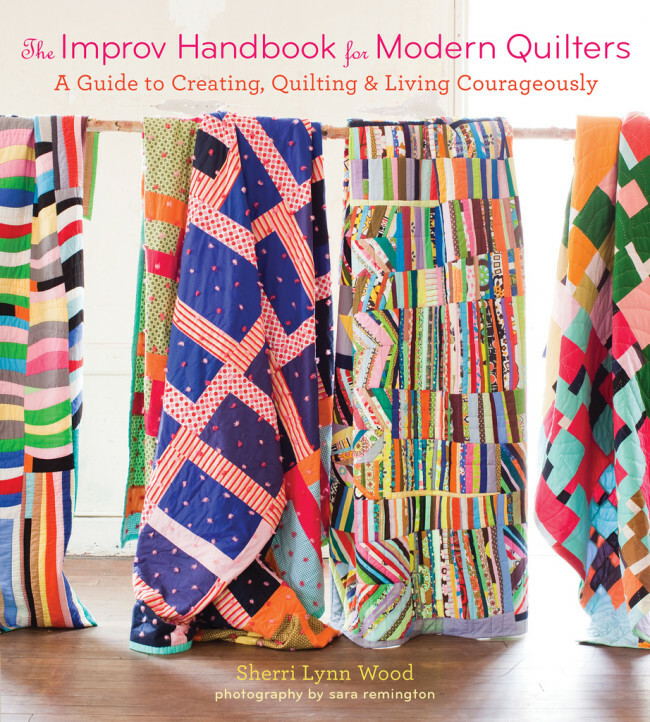 I fit in quilting by sleeping less! I love this sign! I use stackable containers for everything! I think you have to have a scheduled time slot that is your time to create. Good luck on downsizing and thanks for the chance to win! I work full time so I try to sew at lunchtime and when I get in from work - with a little nap first ! Seriously - a nap for an hour before supper helps me sew the rest of the night!!! I recently put all my fabric on comic book cards, makes it so much nicer!! I am able to say it's easy, now that my children are off and grown - I can spread out more, and I DO!! I am going to have to take some time and read the hints on sewing in small spaces as I need help with organization ! Having the correct shelving helps a lot ! I have been having a hard time fitting in my sewing with fulltime work of late,I used stay up late and sew, but now that it is light in the morning I am going to get up early to sew a bit before my day starts! yum. scraps are in ziploc bags by colour, in shoe boxes. hidden under the couch! I have an old dresser and I folded my fabrics to fit inside. My oversized cutting mats slide underneath and on top I have various baskets of scraps. hi! am following on bloglovin' - s0 glad i found your blog. i'm still trying to fit in the quilting with the little ones. so i do it at night & when they're at school, etc. it's a passion that won't be quelled. ha! thanks for the give away! bulwinkle44@hotmail.com :) love your work! Part of the key to fitting sewing time in is not to have to get it out each time. That really doesn't fit in with the downsizing thing but is something to think about. Thanks for participating in the Giveaway Day. I love the teal color! I haven't been doing a great job of sewing so much lately, so I guess I'll speak to organization - keep things as uniform as possible (like, your storage bins and stuff) so that they stack as well as they can. I like cheap see-through storage bins (they're maybe US$2 each?) for storing fabric and scraps. Also... don't keep what you really don't see yourself using! Give away scraps or trade with someone, but no need to keep what isn't ever going to be used. I love Ikea's square hole storage, everything organised and you can see it, loving this giveaway! I'm able to get more sewing done because now my kids are in school 8 hours a day. Sometimes it's amazing that I still don't have time. Hi! I've yet to figure out the answer to your first question, but the second question is right up my alley! I took over a corner of the guest room for my sewing space by removing the closet doors to create an L-shaped alcove. I have my cutting table in the closet (an adjustable height large table from Ikea with a set of shelves that are meant for storing shoes on one end.). I put in two shelves across the top of the closet for stash, and I got a clothes/shoe-holder hang-down canvas thing (meant as a closet organizer) where I store more fabric and projects. The other leg of the L is the table where my sewing machine sits (and doubles as a bedside table), right in front of a window. My ironing board is set up at the end of the bed, so I can take advantage of the bed for large pieces of fabric. And my design wall is just a large piece of flannel tacked up with thumb tacks. It all tucks away easily when guests are there, but the rest of the time, I have a compact but highly functional sewing space! Some year I'll take a picture and post it on my blog! I love your aqua subway art - very fun! Just saying is right! Look at you! I hope your move, whenever you choose to do this, goes well. I'm finding that it takes a lot of work to keep my things organized so more cute baskets the better. I also ziplock projects together as my brain can't keep it all straight anymore. Oh and I may be missing a project or 5. Le sigh! Here's my extra entry as I'm a follower. . stalker. . you know enjoyer of your cool projects. I work 3rd shift so I try to sew an hour or two each evening before I go to work. It puts me in a better frame of mind!! i am SO lucky to be able to sew at work!! not all the time but i do have to work weekends sometimes and that is the time that i get the majority of my sewing done. mainly because i don't have the child coming to tell me he's hungry, thirsty, scared, bored, itching etc every 10 minutes. I work full-time and I am also studying part-time, so it's hard to fit it all in! I used to think of sewing as this massive activity I had to clear time in my diary for, so I never got any done. Now I try to do bits at a time - really helps to break tasks down, even write down the next few steps and cross them out as you do them so you know really quickly what to do next if you have ten minutes to spare. It's also much easier if you have a few projects to work on at the same time, so there's always something small to do somewhere. I've also started English paper piecing, which I can take everywhere (and do! ), so that gets quite a bit done! Hope that helps. I love your artwork! I'd love to know how one successfully sews, in addition to all the other duties. I always seem to fall behind on *something*. Most sewing gets done in the evenings after the girls are in bed, or those rare moments during the day when they're asleep or preoccupied. I have a 5x5 IKEA Expedit unit with my sewing table attached to it. I have my fabric neatly folded in the cubbies, supplies tucked underneath where they're out of sight, and I've used the doors and drawers you can buy as add ons to hide the not so pretty sewing things. All my projects are in plastic bins that stack in each cubby. Whew. That was long. Thank you! Love your signs! I try to store like things together and use bins that can stack. A spot for everything... and then I try to put things away. I'm less successful at that! I am a SAHM, but still have little time for quilting, so I sneak in some time late at night, when the rest of the clan are in bed. Well, I'm a homeschooling mom and I do my major sewing at night and sometimes on the weekends, but I do try to have some take along projects like hexies or patchwork for waiting at lessons time. Love your artwork! I sometimes only get 15 minutes to quilt in a day, and to (try) to keep up with the housework I'll spend 15 minutes a day at least cleaning something also. I follow you. Thanks for the giveaway Heather! I work in day. I try to sew for an hour at night and two or more hours at weekend. My 4 kids are pretty good about letting me sew, so it's not too hard with them around. BUT, they are not very good at cleaning up after themselves while I'm sewing. I try to sew in the evening/after bedtime on nights my hubby has band rehearsal. Thanks for the chance to win! I only get a few hours a week to sew, but as a SAHM I try to sneek sewing time into naps and after everyone is in bed. 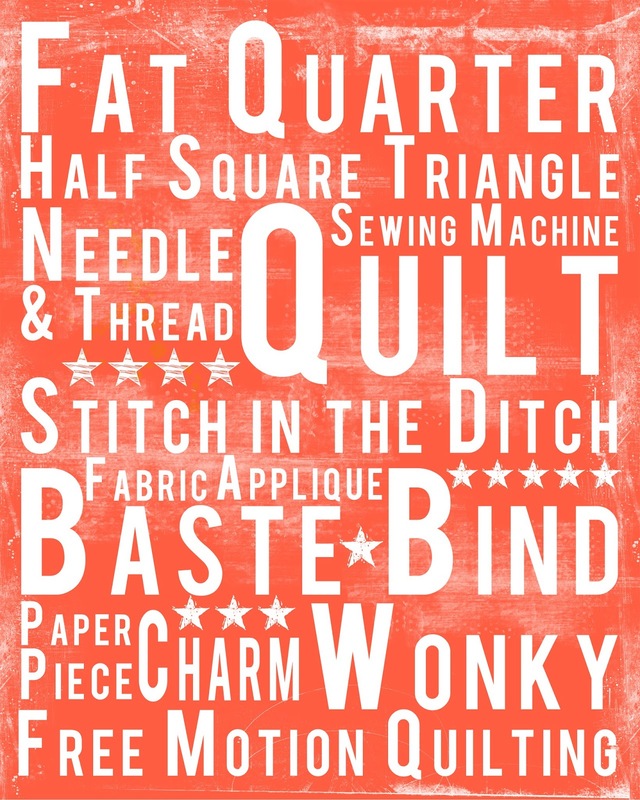 Try to sew for even short amounts of time, it will add up! It is tricky trying to get enough time in the sewing room with so many competing demands on my time. I have just started scheduling it and not letting anything else push it out the way. Wow, what a fun and unique giveaway! This is a great prize. I sew while the kids are at preschool. The time flies by way too fast! Then I stay up way too late after they go to bed to sew some more! I homeschool my five kids, so I'm definitely working full time! For me, having a designated sewing space, with a door, is imperative. That way I can have everything set up and ready to go when I find 10 or 20 minutes to spare in between laundry, lessons and meals. I also do my cutting at the kitchen counter (I have one big counter!) so I can be right there with my kids while they do their lessons, but I'm getting something done as well. Cute wall art! I've got my sewing space decked out in aqua and yellow, so this print would fit in just perfectly! I stay organized, don't start too many projects at once and get something...anything accomplished each day. Nap time was key for me until my baby girl tried to give up napping at 6 months...she is just an on the go baby! Love the wall art! I can't help so much with the organization - I had 'sewing room' as one of the top features in our house when we moved. I sew on the weekends - I just don't have enough time or energy to be very successful after work. Love the black subway art! I make time for quilting by having small projects ready to work on, like a stacks of half-square triangles ready to be sewn together. I work full time but I still like to squeeze in some sewing time! What a cool prize! I'm lucky that my work is quilting and fabric related so I get to sew on the two days that I work, and the rest is done when the kids are at school! I only fit in quilting by NOT doing some of my household duties. I really need to do some laundry now that we speak of it... Sigh. Thanks for the chance to win! 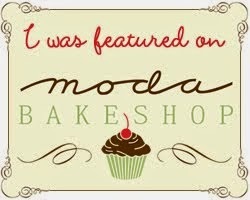 I'd love to get that sign printed on fabric! I love IKEA's ALEX for storage...I have 4 of them!! Hmmm...storage...I currently sew on my kitchen table with little space for storage...everything is in plastic totes...can't say it's the best form of storage, but it works for me right now. I have a supportive husband who takes care of the kids when he's home so I can sew. He is away a lot with the military though so I either sew when my kids are in bed or I bring the sewing machine to the diningroom table so I can sew and be with the kids at the same time. I'm a full-time student so that's kind of a job, except no pay! I don't get to sew as often as I like, mostly on the weekends. I don't sew nearly as often as I like. I need to read the responses to be able to fit it in more! I'm working on fitting in 20-30 min each wkday as I drive 55 miles each way to work. To keep my stuff/projects orgazined is to tabel everything and I store many in 12 X 12 cases, if projects are small I'll put 2-3 together. The label maker is my best friend, use all caps to make it easy! Great blog! Especially when the kids were little, I gave up on the idea that I had to keep a pristine house. Now that they are grown (youngest about to graduate college), I love that they have so many memories of the fun things that we did together, including crafting. Luckily I have a craft room, so I can leave my projects out all the time, and work on them for little bits of time. It takes so long when you have to clean up your mess every time! Very cool art! I find some time after work, dinner, and dishes a few nights a week, but I don't have kids so it's easier for me to have alone time! Thanks for the chance to win. Great sign! A get up earlier than everyone to get my sewing in. I love the tangerine, beautiful! I work 50 hours a week, but come every night an sew (no matter how tired I am). It makes me a happier person. Besides, sleep is overrated. I recyle the lettuce & salad tubs from Sams & Cosco Wholesale clubs. I use them to store my fabric scraps and what few fat quarters & charms I have in them. Thank you for the chance to ente ryour giveaway. this is awesome! i fit quilting in on the weekends, or some weeknights. i also bring quilts to work to baste so that helps! I love all three colours. I would be happy with any of them. I am still trying to figure out how to get back to quilting after having my daughter. It's been 6 months and I still haven't had a chance to sit down at the machine. Some day soon hopefully. I've been using comic book boards to organize some of my fabrics. Love your Subway Art print, so gorgeous! My tip for finding time to sew is to find a spot where you can leave your sewing machine set up & ready to go with your latest project, then whenever you have a few moments you can get straight to it rather than having to go through the ordeal of setting up & packing up. Thanks for the great giveaway. I organize magazine patterns and computer printouts in notebooks inside page protectors. Fabric is mostly in large storage bins by color. I have to wait until the kids go to bed before I can do any crafting. They keep me busy all day long! I store my fabric in a retro (50s) china cabinet. I love displaying all my beautiful fabrics. They're so energetic and cheery! I have to sew when Daddy is at home to babysit and during naptime. I store fabric in small (bigger than shoebox) clear totes so they stack and keep simular stash together! I think you print design in aqua would look pretty cool on my mini quilt wall! I finally corraled my scraps in mesh waste baskets from IKEA. They are sorted into colors and sit on top of the shelving that holds my stash and books. Pretty and practical! I like to keep the project that I am currently working on in plastic containers. I found some I like at Walmart. They stack on top of each other. I'm currently retired (YEA), but when I was working, I sewed with a group of ladies one Saturday a month. It's amazing what we accomplished with 5 or 6 hours of time. Thank you for a great giveaway! 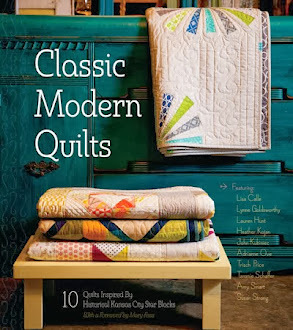 I haven't yet figured out how to squeeze quilting into my schedule. Thank you for doing a giveaway. I sew in a tiny space there is just enough room for a desk to fit my sewing machine on. I have to move to the kitchen table when I want to cut out or sew a large quilt. I do have a huge cupboard to hold my supplies and I try not to have too large a stash. I mainly sew during my kiddos quiet tv time, or after he's in bed. It used to be during nap, but unfortunately those are a thing of the past. Thanks for the giveaway! I try to make a list and take the time in little pieces when available! I homeschool our kids so I often just like to have some hand work on hand. I can't help with balance, still trying to nut that out myself but I have the small space so my tips are organisation. I use clear plastic tubs and if you need to divide up with in them large zip lock bags. I am hoping to renovate so I can have a walk in sewing cupboard like a walk in pantry I guess that is off the dinning room so I can use the dinning table for my machine and cutting and then put them back into the cupboard and close the doors when we have guests. I like to do a freezer cooking day so that later I can pull out those meals and then use my meal time as sewing time. I definitely have no storage tips--my supplies are a big old mess. And fitting in sewing time is a challenge! I work full-time and have a 5-year-old. I usually sew after he goes to bed. I have spurts in sewing, but with three kids and a part time job there never seems to be enough time. This year though a friend and I are following the Craftsy 2012 BOM (we liked it better than the 2013) and about once a month we get together for the morning and make that months blocks. I'm realising "little and often" is the way for me to go. Sometimes I'm great at fitting it in and others I'm just not. I burn the midnight oil to fit it in though. After the kids go to bed. I try to get something that I can do some hand sewing on so I can do it while my husband and I unwind with a little tv before we go to bed. I have a crazy small quilting space. One of my favorite ideas ever was putting a shelf over the door. You can put pretty baskets in there with things you don't use very often or fold WIP's that it is taking a while to get to. They look pretty and its a great little space. Thanks for that chance to win some cool art for the space. I fit sewing and quilting into my day by doing a small amount of crafting each day.